As temperatures climb, I’m looking for ways to have lower and lower octane cocktails. I want deliciousness, but I want it light and fragrant y’all. 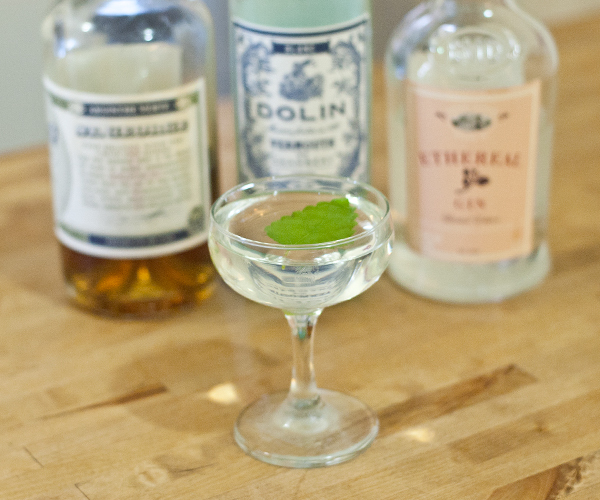 It’s time to break out the Blanc Vermouth, brightest Gin you have, some tasty Absinthe, and fresh herbs for garnish. 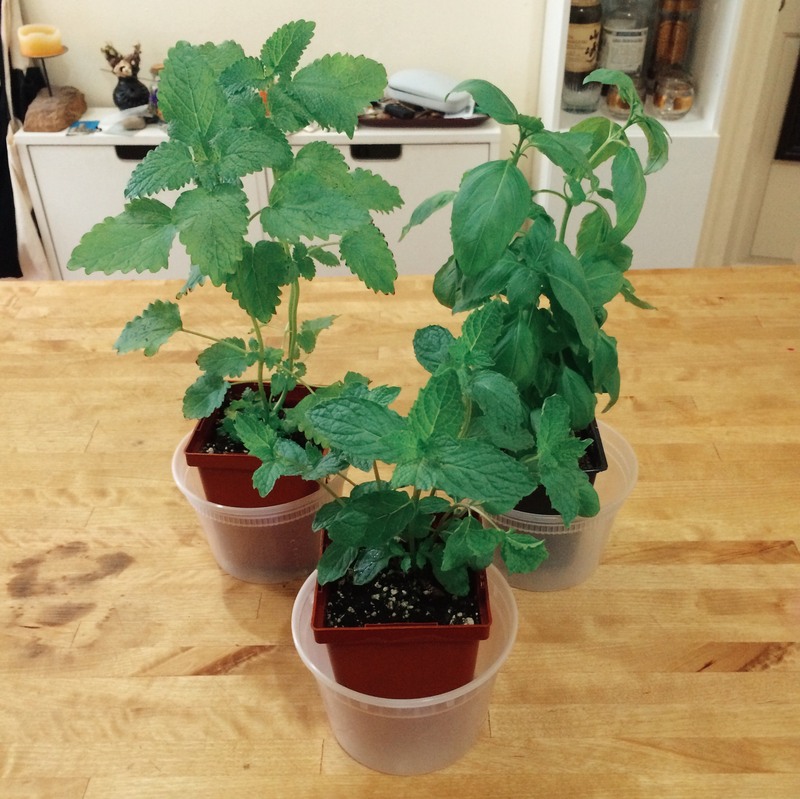 I recently took a trip down to my local plant shop and got Lemon Balm and Mint to add to the recently acquired Basil plant. If you haven’t smelled Lemon Balm before, it’s definitely Lemony but also astringent, kind of minty and herbaceous in an Anise sort of way. In otherwords, it’s perfect as a cocktail garnish. I mean, look at it this Lemon Balm! It’s a stunning leaf and so wonderfully fragrant. I highly recommend getting a plant and putting it in your garden or window sill. Lots of sun & water = happy Lemon Balm. I’m actually so into the Lemon Balm that I named the drink Melissa which is the greek name for this plant. I am of course using the Berkshire Mountain Distillery Ethereal Gin Batch 9 because it’s supremely bright, floral, fragrant, and well, it makes me feel happy. If you can get this Gin, do it! 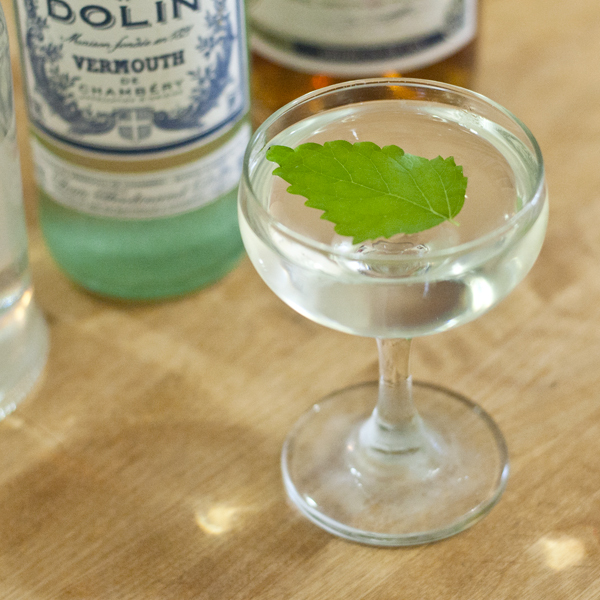 Rinse a coupe with Absinthe and chill. Combine Gin and Blanc over ice and give it a very very long stir. 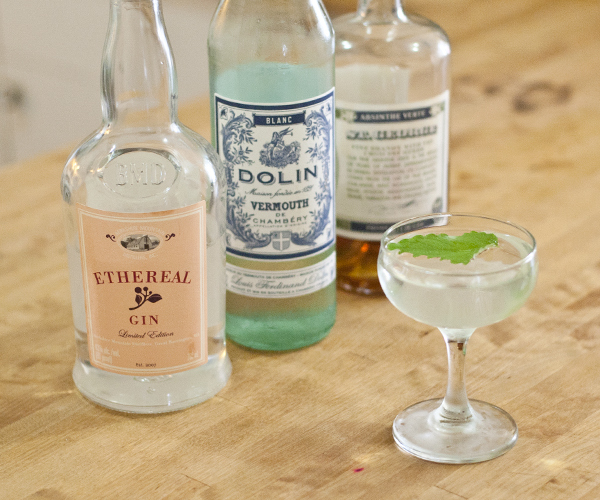 Dilution is key to the lightness of this Martini. 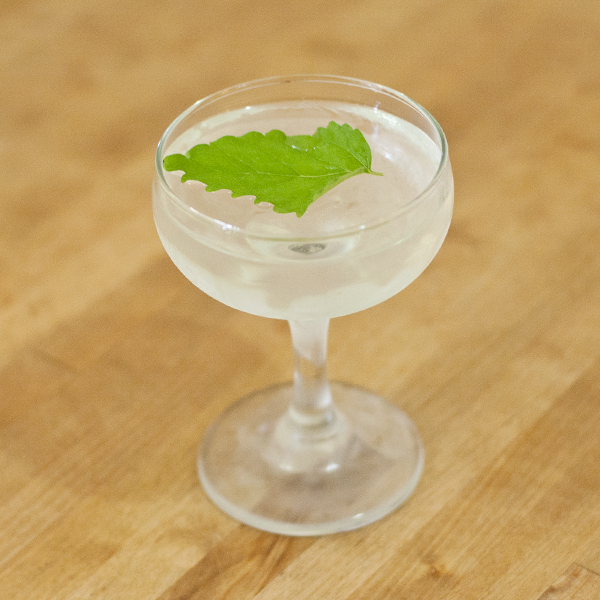 Strain into rinsed coupe, spank the Lemon Balm and garnish.